Hundreds of thousands of veterans have been diagnosed with post-traumatic stress disorder (PTSD), a psychiatric disorder that afflicts people who have experienced or witnessed traumatic events such as the gross killings on the battlefield. Knowing how yoga helps veterans with PTSD is now regarded as one of the ways to effectively manage this mental disorder. Before they returned home from foreign deployment and subsequently discharged or retired from the service, these men and women fought hard and experienced all sorts of horrific events. They saw comrades suffer hideous gunshot wounds or blown to pieces by bombs. Some of them got wounded themselves. At times, they killed not just enemy soldiers but also civilians by mistake in the fog of war, shocking their conscience. All these put too much pressure on their mind, causing them to suffer from PTSD. Military sexual trauma (MST) is another factor that triggers PTSD. It is an act of any sexual harassment or assault that happens to both male and female soldiers. In fact, 23 of 100 women or 23% are reported to be sexually assaulted during service. Also, 55 of 100 women or 55% and 38 of 100 men or 38% have experienced sexual harassment during service. Those suffering from PTSD exhibit such symptoms as having flashbacks, nightmares, severe anxiety, and uncontrollable thoughts about the traumatic events in their lives. Just like many mental illnesses, there is still no known cure for PTSD. However, the symptoms can be treated and the victims can regain their normal functioning through various therapies and medications. 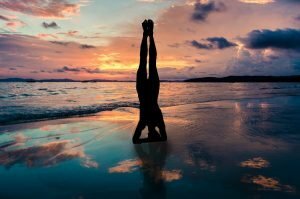 One effective way for PTSD sufferers to cope with the mental disorder is through the practice of yoga, a system of exercises aimed at promoting control of the mind and body. Learning how yoga helps veterans with PTSD is crucial in managing the symptoms of this mental disorder. Practicing yoga can be beneficial both mentally and physically. It can help relieve stress and tension, condition and heal our bodies, and calm the body and mind. Yoga enables PTSD sufferers to re-wire their mind-body responses to the traumatic events that trigger the mental disorder. With the use of yoga postures, breathing exercises, and meditation, in yoga, those diagnosed with PTSD can overwrite their fight-or-flight response to the traumatic events. Experts explain that our body possesses habit patterns where stress and pain lie. Yoga helps reveal these patterns and then control and release them. Though yoga cannot fully cure PTSD, it can minimize the effects of the disorder and help sufferers learn how to cope with the symptoms in combination with medication and therapy. However, estimates on the rates of PTSD among war veterans could only be made starting from the Vietnam War (1955-1975), followed by the Gulf War (1990-1991), and the Iraq (2003-2011) and Afghanistan (2001-present) wars. The rates of PTSD among the veterans of these wars are provided below. The Vietnam War: According to a late study in 1980, about 15 of every 100 Vietnam veterans or 15% were diagnosed at that time with PTSD. It is also estimated that about 30 of every 100 Vietnam veterans or 30% have PTSD in their lifetime. The Gulf War: About 12 of every 100 Gulf War veterans or 12% have PTSD in each year of the war. Iraq and Afghanistan wars: About 11 to 20 of every 100 veterans or 11-20% who served in Iraq and Afghanistan have PTSD in each year of the war. Studies on how yoga helps veterans with PTSD are now being made. As research on this field continues, you can help contribute to addressing this terrible problem among many of our veterans. It’s easy to do so. Just reach out to us at Veteran Car Donations and donate a car or a truck or any other type of vehicle that you no longer use for the benefit of our former troops who are now facing the most difficult times in their lives. We sell at auction all vehicles donated to us and use the proceeds to support the various programs run by our nonprofit organization partners that are devoted to promoting the welfare of our nation’s heroes. One of the services our partners deliver is providing veterans suffering from PTSD and other health issues with free and easy access to medical treatment. What makes our car donation program truly special is that your vehicle donation will not only benefit our suffering veterans but yourself as well! This is so because our donors get to receive the highest possible tax deduction from their charitable contribution based on the selling price of their donated vehicle at auction. For more information on our car donation program, check out our FAQs page. For inquiries, you can call our toll-free hotline 877-594-5822 or send us a message online. Help Transform Their Lives Now! 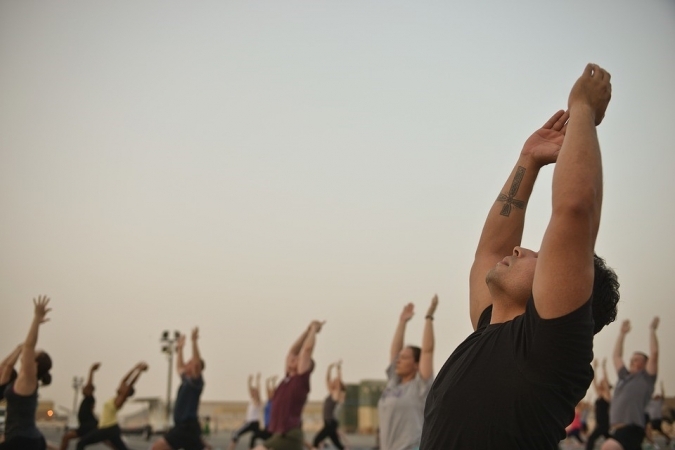 Understanding how yoga helps veterans with PTSD may play a critical role in helping veterans recover from their affliction. Your car donation will also play a key role in transforming the lives of those heroic men and women who are struggling to free themselves from poverty. If you are ready to make a difference in the lives of our nation’s heroes, call us at 877-594-582 and get free professional towing service for your vehicle donation.